The tide of demands for political and economic reforms in the Arab world having whipped Syria, President Bashar Assad is about to address the issue in a televised speech to the nation. The big question on everyone's mind is: Will he go far enough to quell growing unrest in the country? Ibrahim al-Amin, board chairman and chief editor of Lebanon's pro-Syrian daily al-Akhbar, this week prescribed the following reform menu to the Syrian leader in an opinion piece titled, "Syria: The race between sedition and reform." Close the file of missing persons with full transparency and issue passports to all Syrian citizens except in cases of high treason. The countdown to the Arab “Oscars” for excellence and leadership worldwide has started. The TAKREEM Arab Achievement Awards will honor and recognize 10 such Arabs at a ceremony in Doha, Qatar, on April 30. 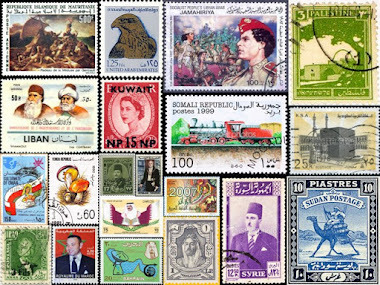 Beirut-based TAKREEM (Arabic for "to honor") was devised to inspire Arabs worldwide. The brainchild of media personality Ricardo Karam, TAKREEM is committed to becoming an annual landmark meant to shape a brighter opinion of Arabs worldwide and inspire present and future generations. Arab achievers have excelled in almost every country around the planet. TAKREEM aspires to honor these achievers, acting as a platform to these outstanding men and women with unbelievable success stories to tell. Names of the nominees are a well-guarded secret until the awards ceremony, but I got the names of two contenders – both of them proposed by bloggers. They are Wael Ghonim and Fadi Ghandour. 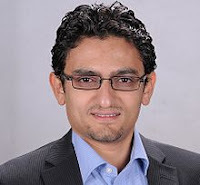 Wael Ghonim is an Egyptian Internet activist, computer engineer and since January 2010 the head of marketing of Google Middle East and North Africa. Earlier this year, he became an international figure and energized pro-democracy demonstrations in Egypt after his emotional interview following 11 days of secret detention by Egyptian police. He was interrogated for being the administrator of Facebook page, "We are all Khaled Saeed" (one of the main reasons that sparked the Tahrir Revolution). 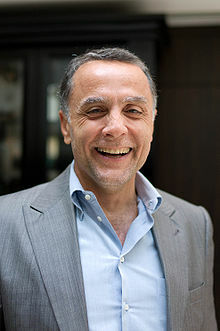 Fadi Ghandour is a Jordanian entrepreneur and the founder and CEO of Aramex, a global logistics and transportation provider. 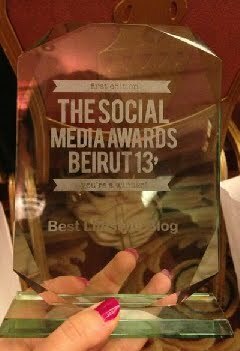 He is a founding partner of Maktoob.com, the world’s largest Arab online community. Yahoo! bought Maktoob in 2010. He is also a member of the board of Abraaj Capital, the largest private equity firm in the Middle East and South Asia; a Founding Board Member of Endeavor Jordan; and serves on the Advisory Board of the Suliman S. Olayan School of Business at the American University of Beirut (AUB), among many other roles. Ghandour is passionate about social entrepreneurship. He is the founder of Ruwwad for Development, a regional private sector-led community empowerment initiative that helps disadvantaged communities overcome marginalization through youth activism, civic engagement and education. He also serves on the board of directors of Endeavor Jordan and Endeavor Lebanon. Endeavor, is an international nonprofit development organization that finds and supports high-impact entrepreneurs in emerging markets. The TAKREEM initiative, launched two years ago, is represented by the olive branch, symbolizing the idea of peace, endurance, continuity, perseverance and accomplishment. TAKREEM’s community consists of an honorary board, advisory and international jury, each playing a critical role in the selection and nomination process of the laureates. This year’s international jury consists of prominent figures such as Her Majesty Queen Noor of Jordan, Dr. Mohamed ElBaradei, Carlos Ghosn and many other pioneers in their field. The nominees are selected from hundreds of candidacies and winners enjoy international and regional recognition for their achievements. Good luck to all the TAKREEM nominees and may the best among them win.